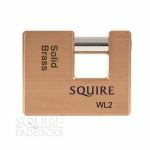 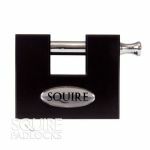 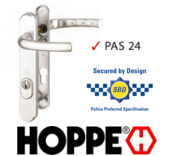 Squire WL Series Brass Sliding Shackle Padlock - Solid Brass Body & Hardened Steel Shackle, Supplied with 2 keys. 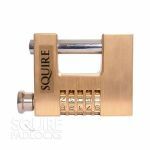 Squire SHCB Sliding Shackle 4 Wheel Combination Padlock - Solid Brass Body With Hardened Internal Mechanisms and Hardened Steel Shackle. 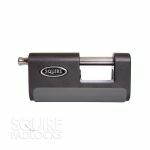 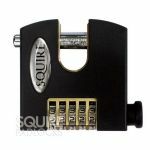 SQUIRE ASWL Steel Sliding Shackle Padlock - 5 Pin tumbler lock, supplied with 2 keys and made from hardened steel and steel plated brass. 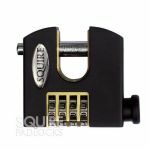 Squire CBW85 High Security Combination Sliding Shackle Padlock - Recodable 5 Digit Padlock With Hardened Brass Body And Anti-Saw Revolving Hardened Steel Sliding Shackle. 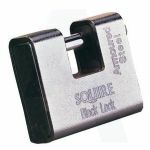 Squire Stronghold WS75 Steel Container Sliding Shackle Padlock - 10 Year Guaranteed padlock, highly resistant to many forms of attack and corrosion.